Join us for our program this Summer! We will have lots of fun while learning and improving a second language. We will offer a variety of amazing activities including dance, games, crafts, Chinese calligraphy, painting, paper cutting, cooking, Kung Fu martial arts and much, much more! Our teachers create different activities and art projects for our campers each year. At the end of each two week session, we will invite families to join us for an exciting performance and party that students put together to showcase newly acquired language skills. From the moment campers step foot into Mei Jia's Summer Camp they will be fully immersed in the culture and language. Our teachers carefully plan all activities to help children learn, think and communicate in Mandarin; making this experience interesting and fun in a relaxed and nurturing environment. Students are grouped into three classes- beginning, intermediate, and advanced- according to language proficiency. Each two week session is packed with many activities that promote learning and growth, as well as time in the great outdoors providing opportunities to use the language. Mei Jia Summer camp is a great place for children to make new friends, explore, create and learn lifelong skills all in Mandarin. Give your child the gift of learning a second language this summer. Join us at Mei Jia Summer Camp! Camps will run from June 8th, 2015 to August 14th, 2015. Summer Camp registration begins February 2nd, space is limited! Awesome Extended Camp is our optional morning extended camp from 7:30am - 8:30am, After Camp options that go until 6pm. $260/week There is an opportunity to participate in a weekly camp. 1. For each camper, please completely fill out all parts of the registration form, and permission and release form. Remember to sign each form. 2. Submit your registration and payment. All registrations must be accompanied by a non-refundable $50 registration, tuition for all the sessions. 3. By Mail: Send the completed forms with a check with your child's name and the sessions signed up on, payable to: Mei Jia Chinese Learning Center, 2578 42nd Ave San Francisco CA, 94116. In this session, campers explore and learn about survival skills in the great outdoors. 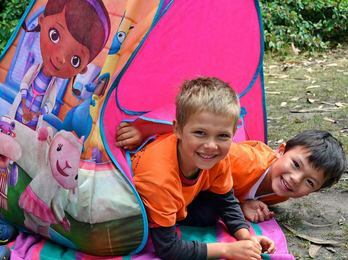 Tents, sleeping bags, campfire stories, BBQs, fishing games, map reading, treasure hunts, are just some of the activities planned for language learning fun in our outdoor adventures! In this session, Ku Fu Panda is joining our camp; campers will have their passport ready to explore China with Ku Fu Panda. There will be a holistic approach to teaching the language, culture and holidays. We will celebrate the main Chinese traditional festivals. During this session, activities include paper-cutting, calligraphy, brush painting, and a tea ceremony. We’ll also cook traditional holiday food (dumplings, spring rolls and other treats), experience various cultural activities, and watch and discuss the points of interest of China's long history and sites of natural beauty. Be a Rainforest Friend! Did you know that more than 50% of the world’s animals and plants are found in rainforests? During this session, the children learn about the rainforest’s climates, weather, deforestation and its impacts on people and places. Campers will go on a fieldtrip. There they will have the chance to see insects, birds, fish and reptiles that can be found in rainforest habitats. 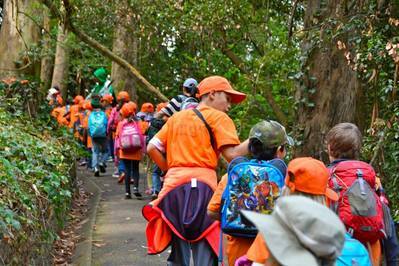 We will go on our own expedition in the park and hike in search of hidden animal colors in the woods to discuss the importance of camouflage and adaptation of rainforest animals. Lot’s of exploring fun to be had! This session offers campers a chance to learn how to cook Asian dishes in this exciting, interactive hands-on cooking class, crafting delectable delicacies inspired by cultures and cuisines worldwide. 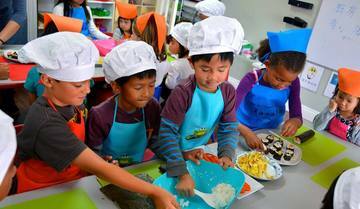 We will focus on vocabulary relating to different healthy foods, ingredients, and methods of cooking. Learning to write recipes in detail is step one! This session will be charged extra $30 for the food materials. We will put on our lab coats and transform our classroom into a science lab! Our little scientist campers will take part of hands on activities to help broaden their basic understanding of basic sciences and health sciences. We will construct a skeleton and discuss how it supports, protects, and maintains our bodies. The activities will stimulate the students’ interests in medical science.